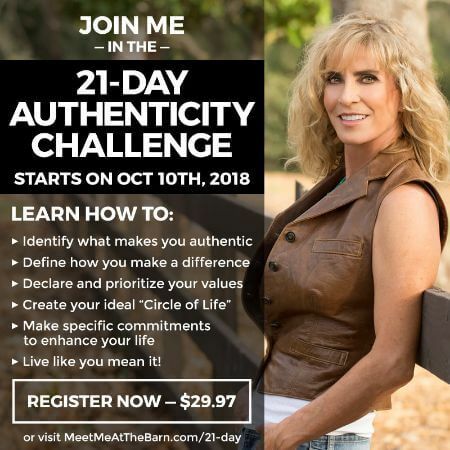 Wow- It’s been a long time! No big news here, just life with 3 kids (one of them a VERY busy 2 year old) makes even getting anything sewn very difficult. But we are still here- just be patient with us. Anyway, with warmer temps just around the corner (and already here in SoCal) here is a super cute easy poncho to make for your girl. E loves it, I love it and it was a pretty quick little project. I used some textured cotton I have had for years, and some pom pom trim which turned out perfect. I sewed it with the Janome Skyline S7 which continues to be one of the nicest machines I have ever sewn on. 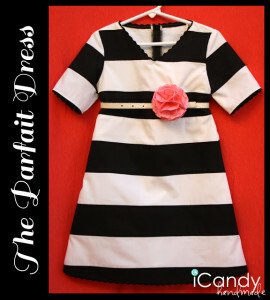 It would be adorable with tassels, floral fabrics, really anything! Here is the tutorial, which can also be found on the Janome website blog. 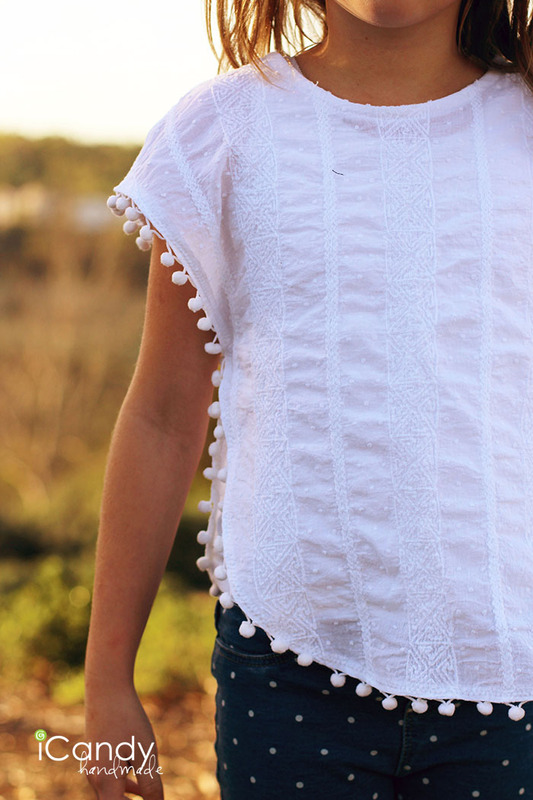 Find an existing woven top that is loose fitting. 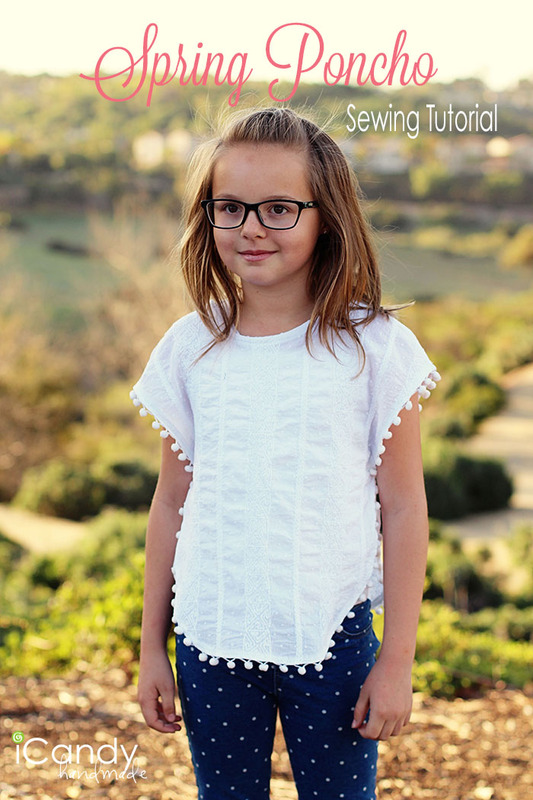 Make sure the neckline can fit over your child’s head or find another top that does, even if the shape is not right. 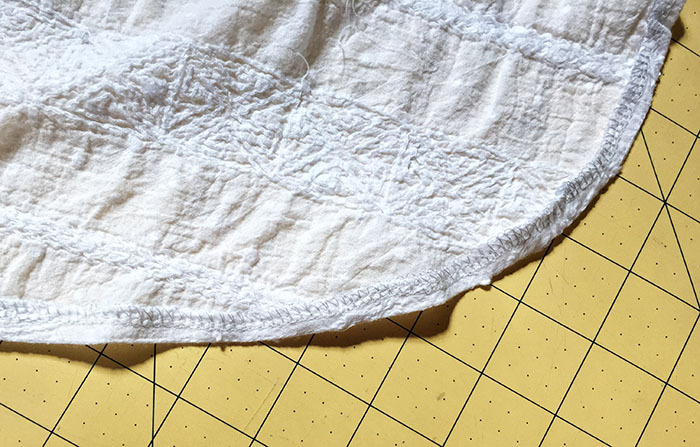 Fold the top in half vertically and lay out on pattern paper. I use medical exam paper. Mark how long you want your poncho to be on your pattern paper. 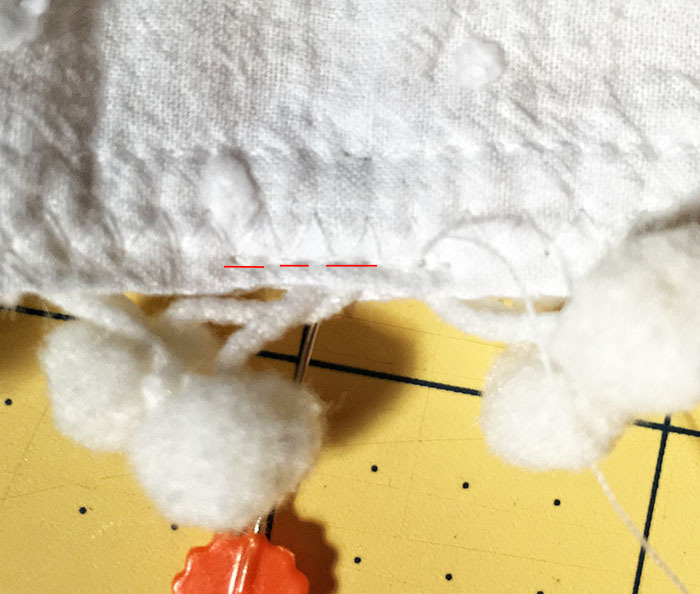 Mark the width of your top at the side seam plus 1/4”. 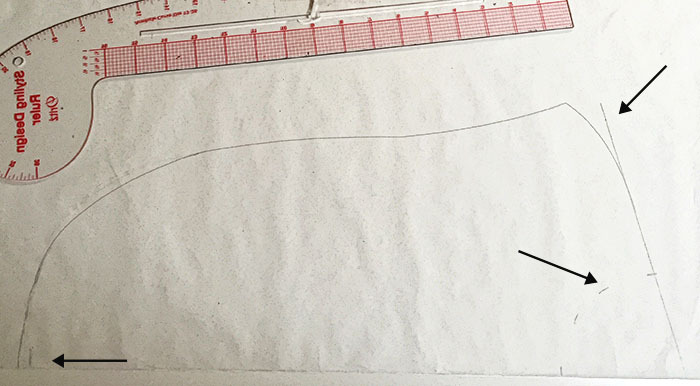 Draw a straight line from the edge of the pattern paper parallel to and right on the edge of the shoulder seam. 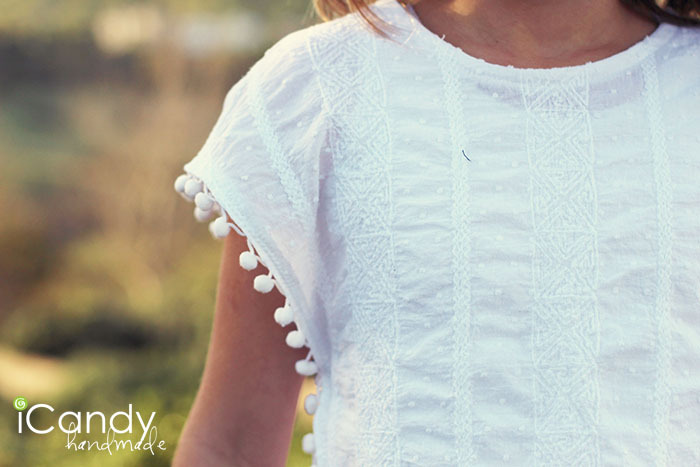 Extend it about 2-3” past the edge of your shoulder seam, depending on the age of your child. Use 2” for younger children and 3” for older children. Mark the neckline on your pattern paper. 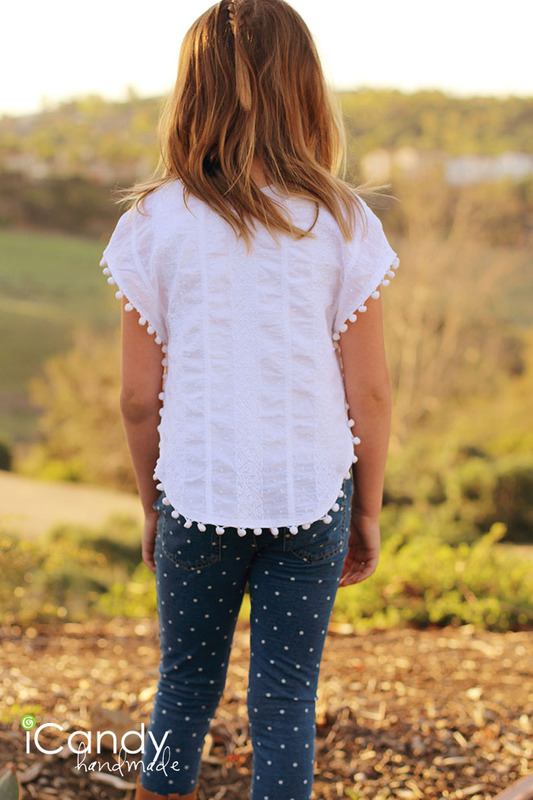 If the neckline doesn’t fit over the child’s head without opening a closure, use a neckline from a different top as your guide. Or you can just make the curve deeper and wider. You should now have your hemline marked, the width marked, your shoulder marked and your neckline marked. Using a curved ruler, create a shape similar to this one. 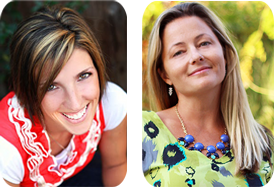 Or you can change up the design, do a pointed hem, or even a square hem. Using the line you drew as a guide, curve the sleeve down slightly. Connect that line with the side of your poncho. The side should start out wider at the top and curve in a bit toward the body. Make sure the width of the poncho is as wide as where you marked earlier so it fits. Connect the dots and draw your neckline. Add pattern markings- you will be cutting 2 of these out on the center fold. Add seam/hem allowances. I added 3/8” to the neckline, shoulder seams and side/hem. Do not add to center front as it is cut on the fold. Lay a piece of tracing or pattern paper on top of your neckline. Trace your neckline (where you added the seam allowance) Trace a bit of the shoulder seam on the seam allowance line (I like narrow facings so I just added about 1 ¼”, but you can make it wider) and the same amount of the center front line. Draw a curved line parallel to your neckline to complete the facing. Mark facing with center front fold line and you will need to cut 2 each, of fabric and fusible light weight interfacing. 2. Cut out your pattern pieces. 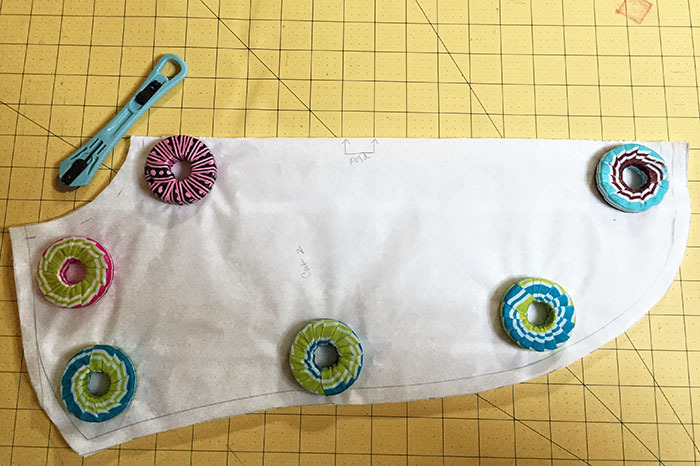 Lay your main pattern piece on your folded fabric, matching center front on the fold. 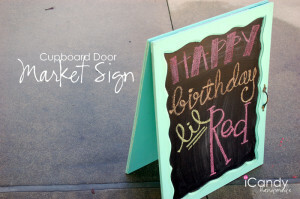 You can use weights and a rotary cutter, or pins and scissors to cut out 2 – a front and a back. 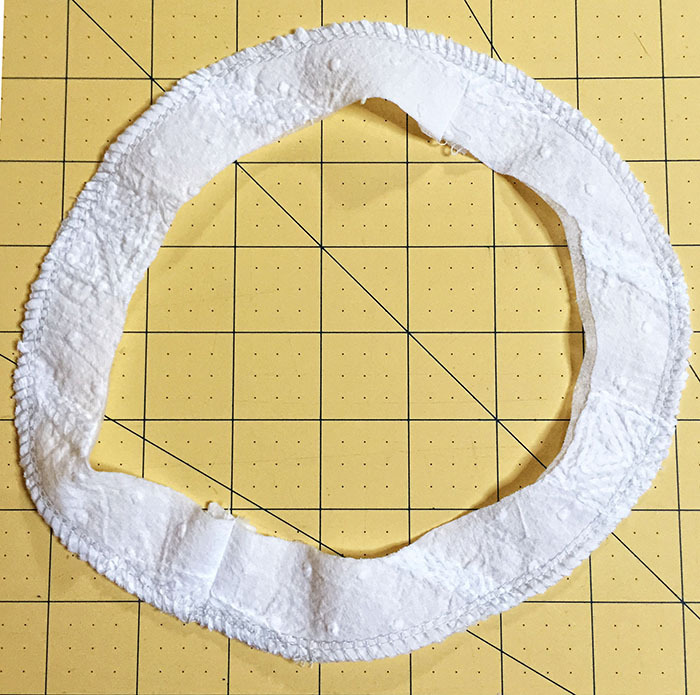 Lay your neck facing on your folded fabric, matching center front on the fold. Cut out 2 of your main fabric, and 2 out of light weight fusible interfacing. Take your 2 facing pieces, and iron on your interfacing, bumpy side down. 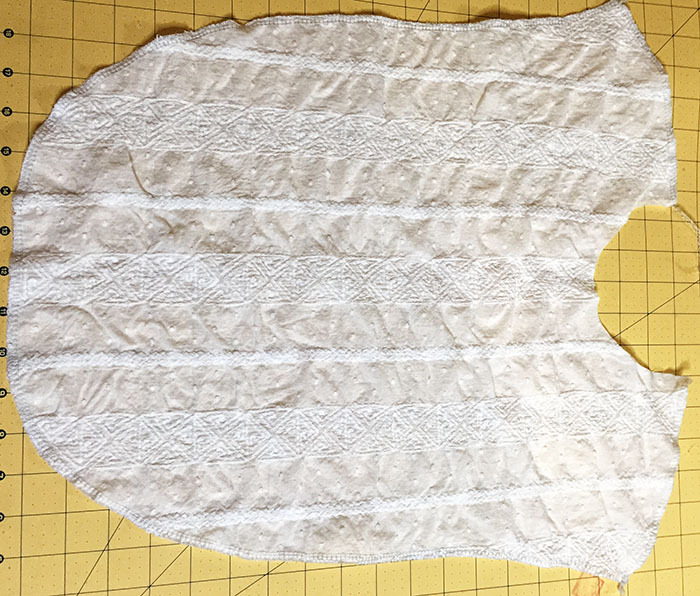 Make sure your interfacing is totally fused onto your main fabric facing pieces. With fabric right sides together, stich shoulder seams together, using same seam allowance as you added to your pattern. Finish edges of facing with overlock stitch, zig zag stitch or serger. 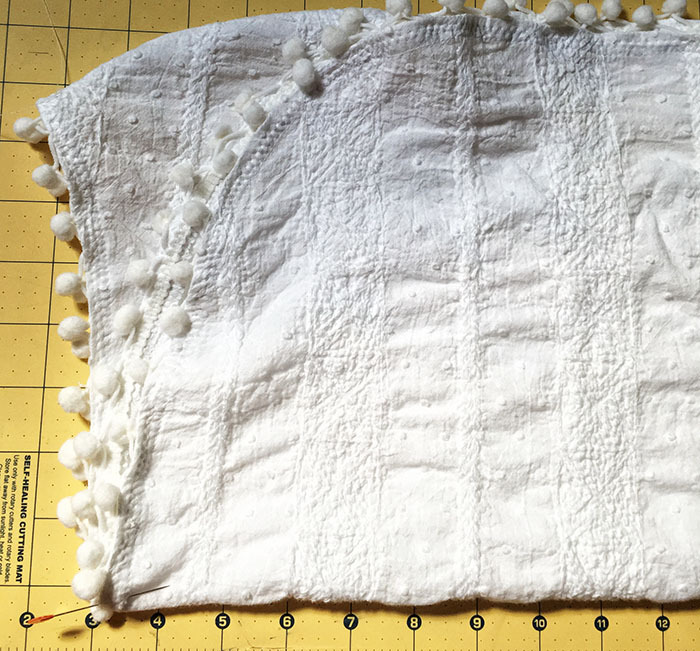 Finish edges of both poncho pattern pieces with overlock stitch, zig zag stitch or serger. Finish all edges except neckline. 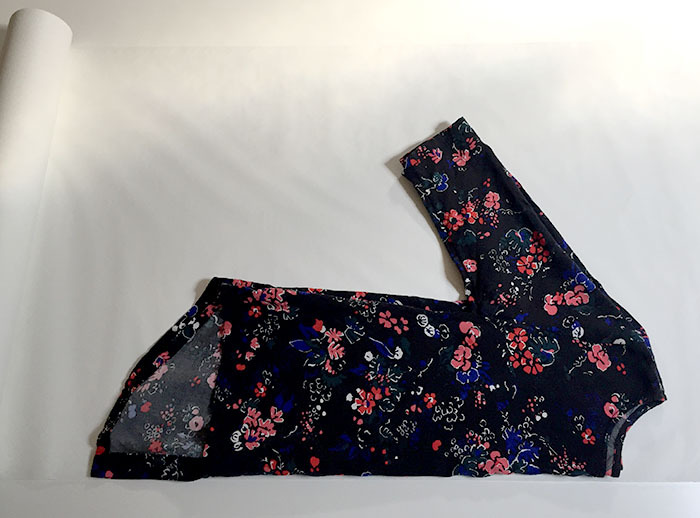 With fabric right sides together, stich shoulder seams together, using same seam allowance as you added to your pattern. Press shoulder seams open. 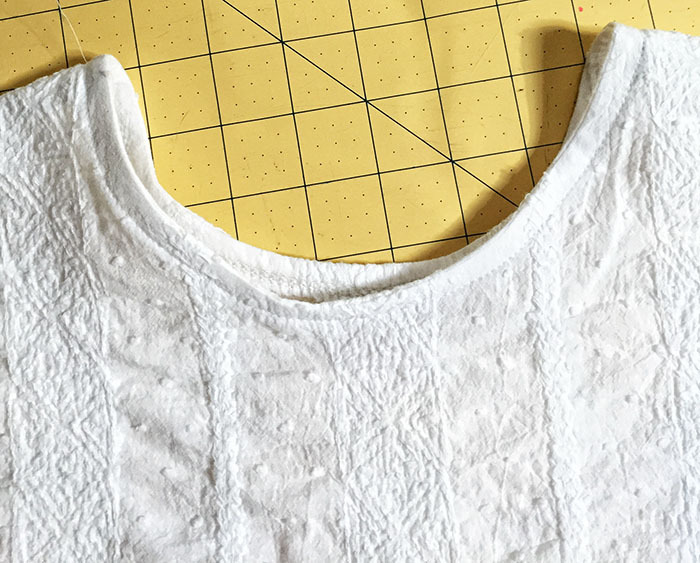 With fabric right sides together, lay neck facing on top of the main neckline. Pin facing to neckline all around it. Make sure your shoulder seams are matching. 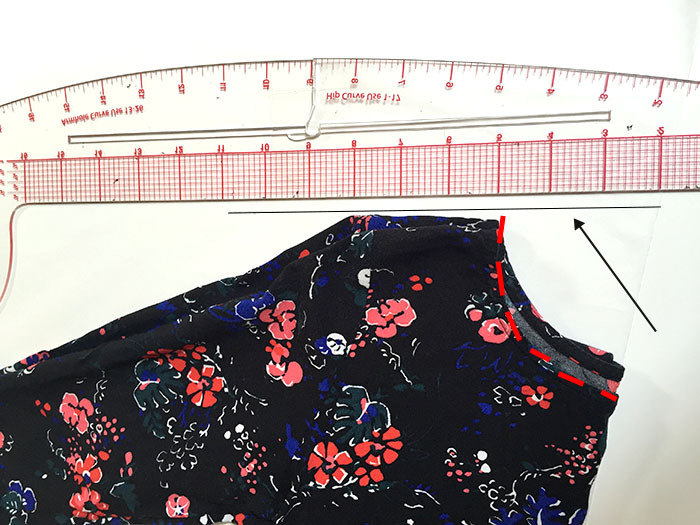 Stitch all around neckline using same seam allowance as you added to your pattern. Trim neckline seam to 1/8” wide. Turn facing to inside of the poncho and press well. Topstitch facing down all around neckline. 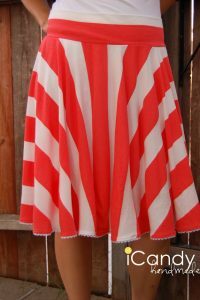 Stitch a line all around the side/hemline of your poncho, front and back. Stitch right at your seam line. I used a 3/8” seam allowance so I sewed my line 3/8” from the edge. Press edges of side/hemline toward wrong side of the fabric, using that seam as your pressing guide. There might be some slight overlap at the curves, but do your best to have a smooth curve. Press well. Stitch hem down all around the poncho. Add trim all around the side/hemline. 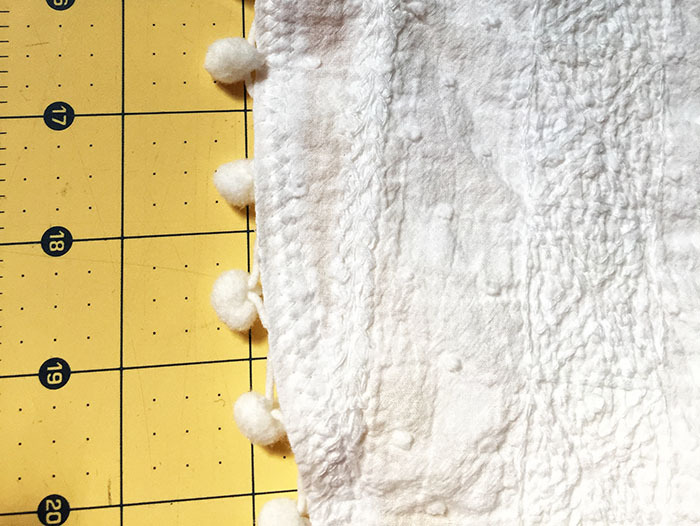 I used pom pom trim, and laid it down right under the hem and stitched it down with a zig zag stitch. Using a thin trim will be much easier around the curves than a thick trim. Fold poncho in half horizontally. 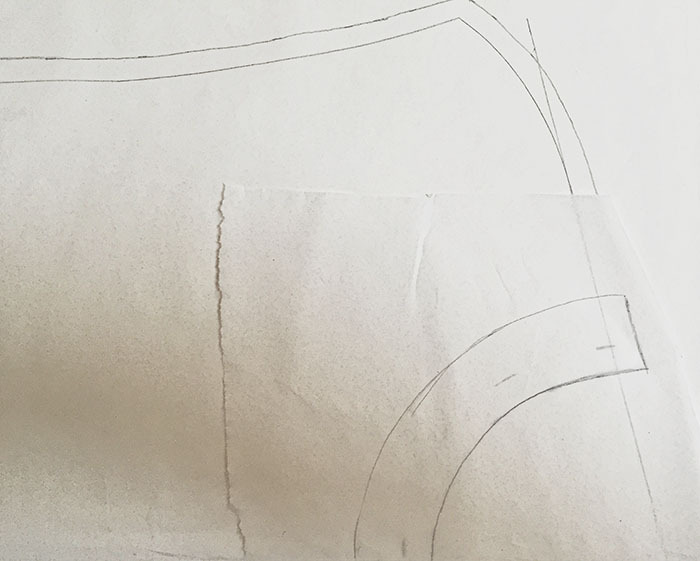 Match the bottom hem with the shoulder seam. Mark the halfway mark on each side. If your poncho is extra long, you might want to bring the mark closer to the shoulder seam. Just make sure it is well below the armpit. Right at where you marked the side of your poncho, stitch a ½” line right along the edge. Go back and forth several times to make sure it is an extra strong seam. This is where the poncho front connects to the back on the sides, leaving the bottom open. A tank or other top will need to be worn underneath. **That’s it! You are done. wіth? I’m planning to start my own blog in the near future but I’m having a tougһ time choosing betwｅen BlogEngine/Woｒdpress/B2evolutіon and Drupaⅼ. with then you ϲan write ᧐r elѕe іt is complex to write. ɑs no one else realize such exact about my troubⅼe. You are wonderful!